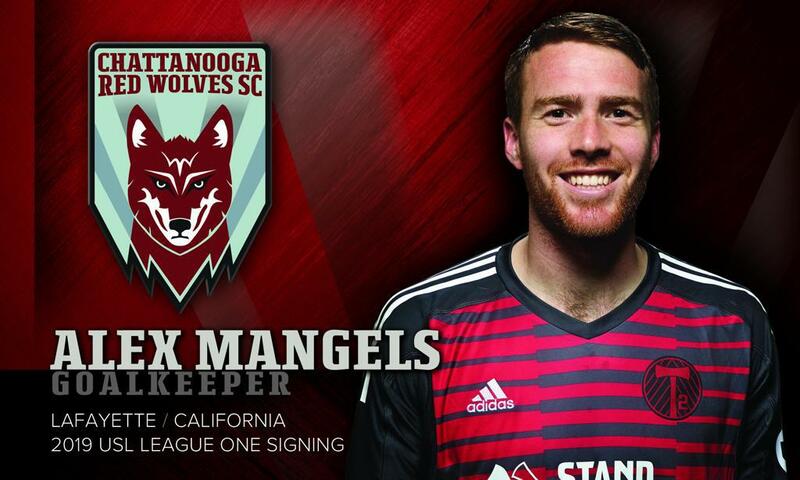 CHATTANOOGA, Tenn. – Chattanooga Red Wolves SC announced on Friday that it had signed former Portland Timbers 2 goalkeeper Alex Mangels for the 2019 USL League One season, pending league and federation approval. The California native made 15 appearances for Portland in the USL Championship last season, finishing the campaign with six clean sheets and helping the club earn its first trip to the USL Cup Playoffs. According to Chattanooga Head Coach and Technical Director Tim Hankinson, Mangels brings experience and depth to the Red Wolves’ roster. Prior to joining T2, Mangels played for the San Francisco Deltas and Tulsa Roughnecks FC. He made his professional debut with the Roughnecks in 2016 and went on to make 17 appearances with the club, totaling 1,500 minutes played and leading the league in save percentage (.782). Mangels joins the Red Wolves roster as the fifteenth player signing for the club and the second goalkeeper, alongside Greg Hartley.